Born in the lovely coastal city of Da Lian, China, Ping Zhan left to attend college, where he graduated with degrees in science and technology. Upon graduation, Ping excelled for over a decade as a software engineer and, at that time, started to realize his lifetime dream of exploring the realms of painting and three dimensional art. 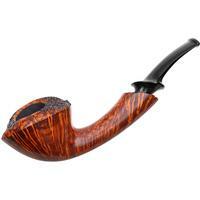 It was also during the latter half of this period when he started to take notice of pipes and pipe smoking, and began to think of the latter in terms of being sculptural objects. The die was cast. 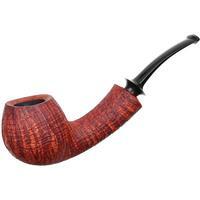 Though self-taught, Ping Zhan is heavily influenced by the legendary Japanese pipemakers, followed by the famous Danes. His briars are precise and beautiful, his stems and bits are hand shaped from ebonite, and his tenon and mortise work is a thing of genuine beauty.